Reigning 250GP World Champion Marco Simoncelli took the win at the Brno MotoGP round after a race-long battle between several riders. Simoncelli eventually pulled away from the following pack but he was followed by Italian Mattia Pasini who battled with Simoncelli right to the line. 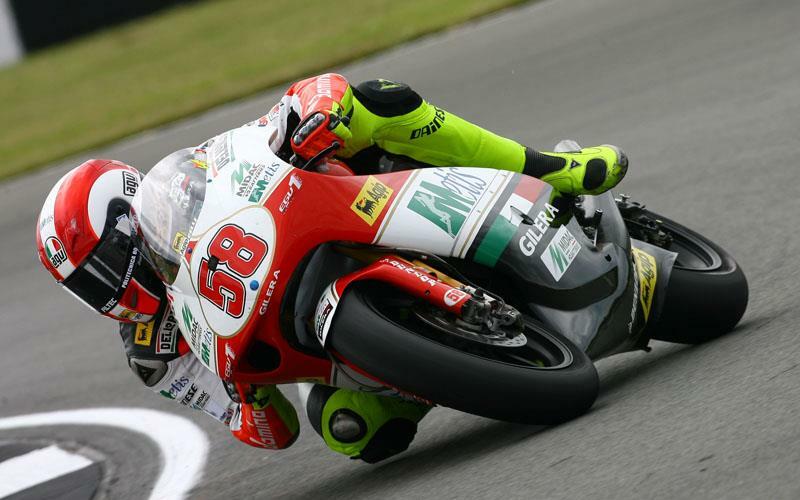 Mapfre Aspar Team Aprilia rider Alvaro Bautista finished third behind Pasini with current championship leader Hiroshi Aoyama finishing fourth after he struggle to match the pace of the top three on the more powerful Aprilia motorcycles.